Safari without a vehicle might sound like a mad idea but there are plenty of ways to experience the delights of Kenya without a 4×4. It’s invigorating to experience the bush on foot, or from the back of horse, and just as exhilarating to take the bird’s eye view from a helicopter or light aircraft. Leave the vehicle behind and you can hop off the beaten track and really get under the skin of this spectacular safari region. 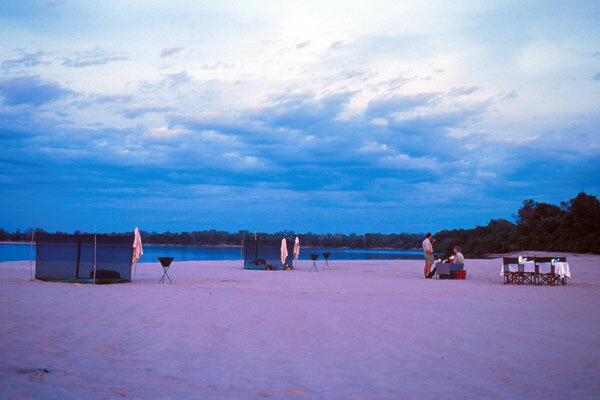 A walking safari is perhaps the most enlivening way to get out and about in the African bush. Away from the vehicle you’ll start to appreciate the unique sounds and smells of Africa. Tracking elephant and rhino on foot is undoubtedly exciting but it’s just as interesting to get to grips with animal tracks, dung (yes, really!) and smaller wildlife you won’t spot from a vehicle. 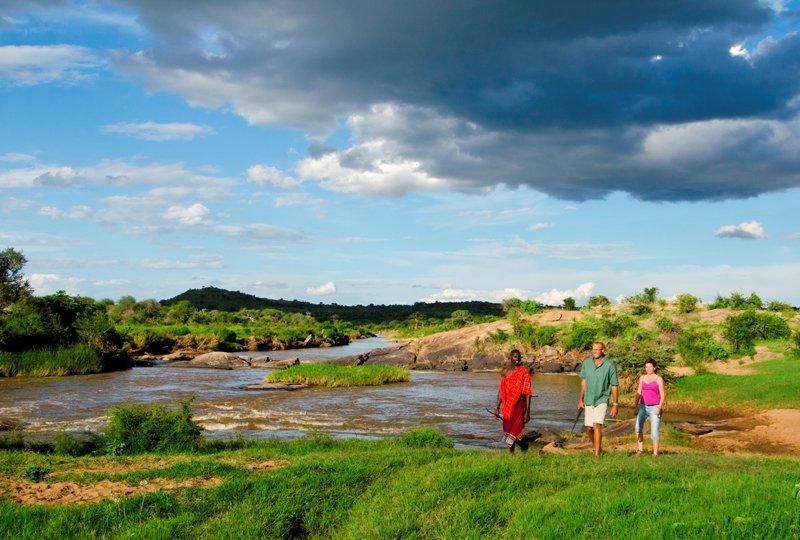 Favourite options for a walking safari include Karisia Safaris or Ol Malo Nomad, or try a short walk from camps like Laikipia Wilderness or Sosian. For capable riders, nothing beats exploring the African bush on horseback. The wildlife sees you as another one of them so you can get much closer than you would imagine. 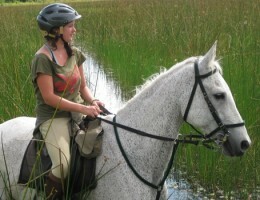 A horse will also take you to areas inaccessible to even the most rugged 4×4. 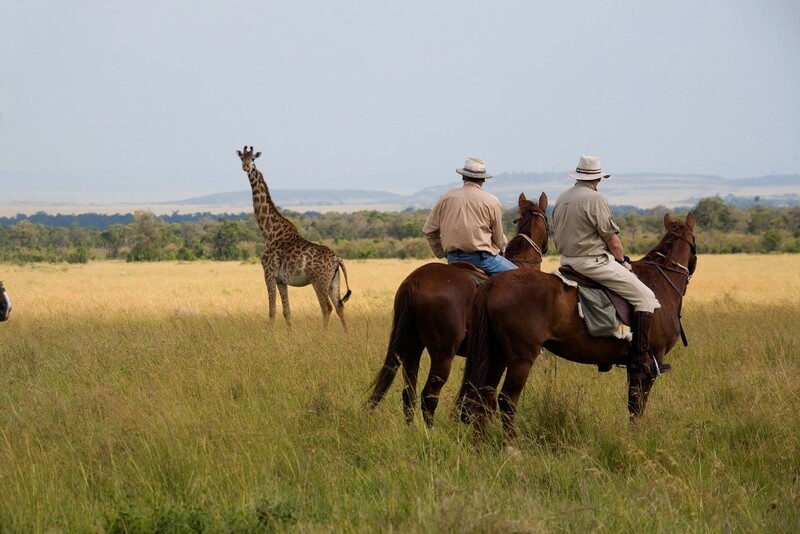 For really exhilarating riding, head to the Masai Mara where open flat plains, and the wildebeest migration, between July and October, provide fabulous riding conditions and superb game viewing. 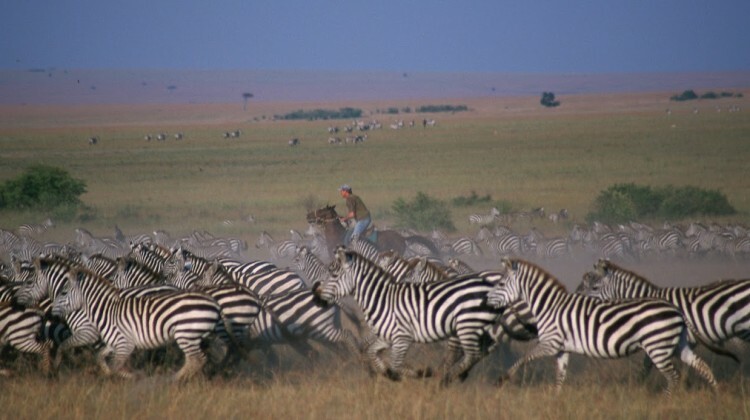 Safaris Unlimited and Offbeat Safaris specialise in these migration rides. For shorter rides in spectacular scenery then look no further than Borana Lodge. 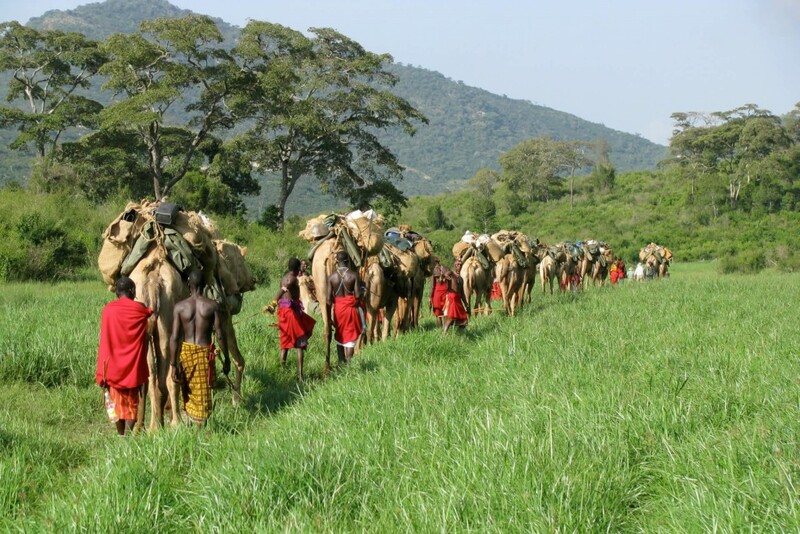 Walking with Samburu warriors and their camels in rugged northern Kenya is a truly eye opening experience. The Samburu are hardy and tough and know this remote part of Kenya better than anyone. Although the camels are there primarily to carry tents and luggage they’ll also carry weary guests offering a great vantage point over the spectacular scenery. Karisia Walking Safaris and Ol Malo Nomad specialise in multi-day camel treks, while Sabuk offer this as an activity from the lodge. 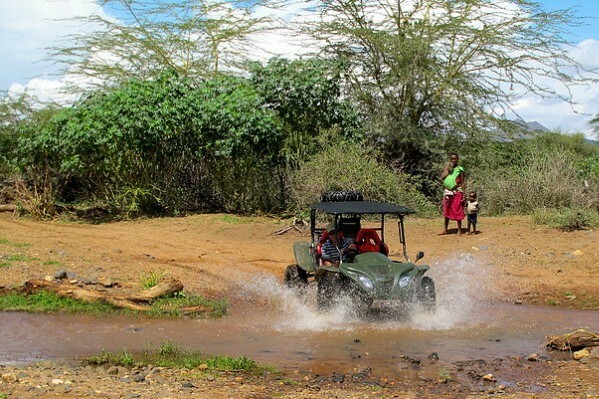 Lattitude Adventures Africa run quad bike and buggy expeditions in northern Kenya. These dune buggies are a fun way to transfer from lodge to lodge if you just want a short trip. But for something a little more out of the ordinary try an off-road adventure following century old elephant routes deep into the wilderness. Exclusive, remote and exciting – it’s a wonderful way to get well off the beaten track. As well as the wildlife, Kenya is home to some extraordinary landscapes. 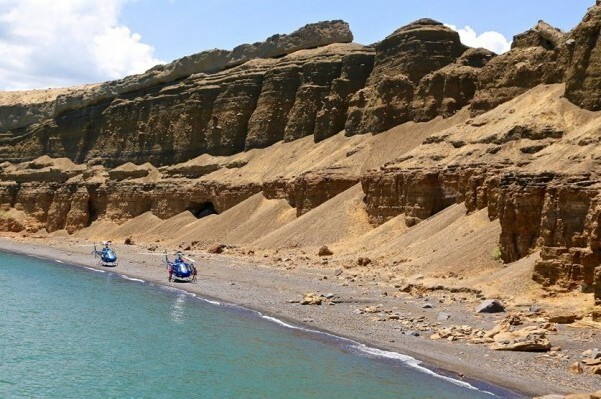 Take a tailor made helicopter safari and you can really see the best of what’s on offer – exploring mountains, lakes, deserts and forests, touching down to see more closely particular points of interest. 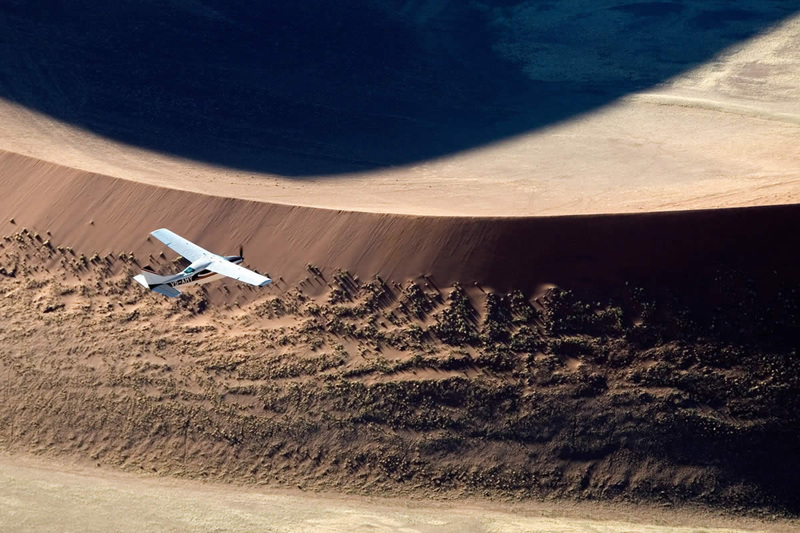 Among the best destinations for a helicopter safari are the Masai Mara, Chyulu Hills, Lewa Wildlife Conservancy, the Lakes of the Great Rift and the deserts of the north. 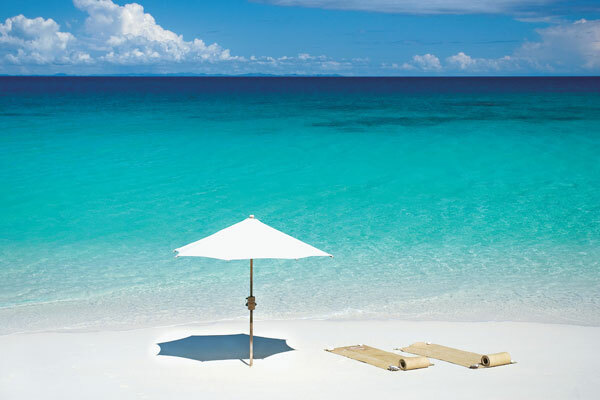 We work with Tropic Air to plan tailored helicopter safaris as part of a longer trip, or a holiday in their own right.